The wax begonia has made its way into the gardens and hearts of gardeners everywhere. These plants earn their name because of their waxy foliage and small blooms that shine with a waxy glow. Gardeners praise these plants not only because of their beauty but because they are easy to grow and care for. Properly caring for wax begonias in the winter is a good way to make sure these plants are around next growing season. 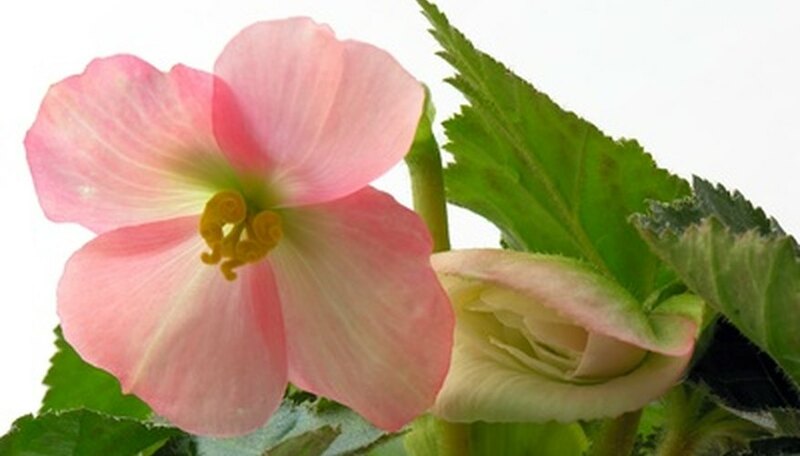 Remove the wax begonia plant from the ground before the first frost of winter, using a small garden shovel. Fill planting containers that have plenty of drainage holes with a 50-50 mix of peat moss and moisture-retaining potting soil. Plant the wax begonias into the planting containers. Place the planting in a heated greenhouse or indoors to protect the begonias from the harsh winter climate. Water the wax begonias when the top soil has became dry. Water until the soil becomes moist to the touch. Pinch away any dead or dying blooms or foliage throughout the winter to promote new growth and ensure plant health. Use a small garden shovel to remove the wax begonias from the ground. Large spade shovels could easily damage the fragile plants. Place the wax begonias planting containers in an area where they will receive partial sun through the winter months. Do not over-water the wax begonias. To much water can cause the planting soil to become waterlogged and increase the chance of fungal growth and disease.